Jim C. Ostrand age 68 a 31 year resident of Lenox Twp. passed away on January 18, 2019 at Henry Ford Macomb Hospital. Jim was born on December 16, 1950 the son of Frank and Ruth (Replogle). On September 24, 1973 at St. Luke Lutheran Church he married Karen Cooper. In October 2008 Jim retired from General Motors as a Engineering Technician after 36 years. 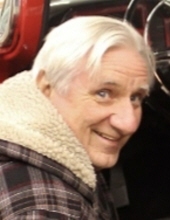 Jim enjoyed restoring classic cars for himself and for other people. He had an extensive knowledge of cars along with a strong work ethic. Jim had a lot of creative talent and when seeing him he always had “that” smile on his face. He also enjoyed spending time with his beloved family and friends. Jim was the kind of person that you wanted to be around. Jim is survived by his loving wife Karen of Lenox Twp. Children Jim (Romaida) of Utica, Timothy (Daniela) of Germany, and Patty (Brett) Lane of Armada. Grandchildren Emma, Rosalie, Melinda, and Kasey. Siblings Mary (Tom) Wapole, Georgia (Jim) Truttschel, William (Deborah), Terry Crevier, and Penny (Dwight) Dameron. Funeral services will take place on Thursday, January 24, 2019 at 7 PM at the Henry M. Malburg Funeral Home with Father Jerry Kessel officiating. Visitation will be on Thursday January 24, 2019 from 2-8 at then Henry M. Malburg Funeral Home. In lieu of flowers donations can be made to ARDS ( Acute Respiratory Distress Syndrome) 3330 Dundee Road C4 Northbrook, Illinois 60062 and/or Shriners Hospital for Children (2900 North Rocky Point Drive Tampa, Florida 33607). To send flowers or a remembrance gift to the family of Jim C. Ostrand, please visit our Tribute Store. "Email Address" would like to share the life celebration of Jim C. Ostrand. Click on the "link" to go to share a favorite memory or leave a condolence message for the family.